Now you can move your Kayak\SUP Storage Rack with ease. 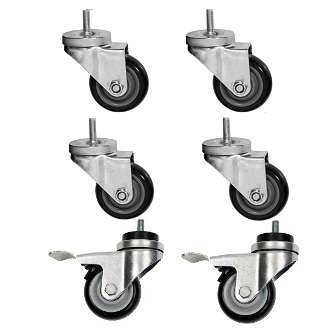 This 6 caster set comes with 2 locking and 4 non locking casters. To install you just uns crew the leavling feet and screw in the casters.